Apprenda, a software as a service (SaaS) middleware provider, is now offering a free downloadable SaaS stack that provides much of the functionality of its flagship SaaSGrid, an application server for on-demand apps. The Clifton Park, NY company says that SaaSGrid Express, announced today, provides free access to a foundation with which to deliver .NET applications as mature SaaS offerings with a competitive cost-of-delivery profile. The model appears simple. 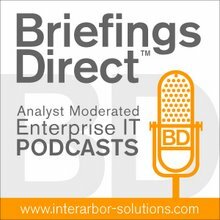 Use community and ISV economic imperatives to drive a de facto standard into the market, thereby seeding a strong business to the upgrade-path commercial version. The timing is great, as finding a way to enjoy cloud computing scale and economics is top of mind for ISVs and early-adopter enterprises. All of the main features and functions of SaaSGrid application server have been ported to the self-installable Express edition. Apprenda says their product has drastically reduced time-to-market and capital requirements for independent software vendors (ISVs), SMBs and enterprises, with some customers experiencing 50 to 70 percent reductions in planned engineering time and associated costs. I like to think of this as allowing for SaaS "stack bursting," which could easily augment cloud-bursting efforts, seeing as users of Apprenda SaaSGrid can run on Amazon EC2 as well as for on-premises virtualized workloads. The model might also work really well in migration efforts, of going from legacy apps to web and ultimately cloud deployments. According to Apprenda CEO Sinclair Schuller some 93 percent of ISV-delivered applications have yet to make the transition to on-demand and SaaS-delivered. That's a lot of apps. This new edition enables developers to quickly build, deploy and onboard customers to their .NET applications, letting them build significant revenue streams without any license costs. ISVs leveraging the full-production-licensed SaaSGrid edition pay a per-server, per-month license fee, and benefit from full customization and branding capabilities, as well as additional features. This licensing model, known as the SaaSGrid Monthly Server License, includes free access to maintenance and software upgrades and comprehensive customer service (based upon the number of licensed servers). Apprenda's support of ISV (or private cloud application project) requirements for developing and running SaaS-style offerings far exceed the functionality available with the recently delivered Windows Azure SDK. Apprenda's advanced support for fine-grained and adjustable use tracking and billing is particularly valuable for ISVs. Apprenda achieves this breadth of capabilities largely unintrusively, in part by intercepting and extending the Web and the database communications of the application and in part by modifying the compiled application intermediate language code (adding value and some overhead in the process). Apprenda's current business is primarily focused on ISVs. Historically, the business opportunities of middleware providers servicing the ISV market have been limited. With time, the company must develop a product offering that targets enterprise IT cloud application projects as well in order to expand its business opportunities. If the ISVs' needs and enterprise app migration efforts alone jump-start adoption of SaaSGrid Express it could make for a strong and clear path to clouds, from Amazon to Azure to the home-grown variety at an enterprise near you. For more information on SaaSGrid Express and how to download it, visit the Apprenda web site: www.apprenda.com.